Our show today is another special episode where we feature one of YOU, a wonderful member of the homebrewing community. Joining Joshua on today’s show is Brandon Allen. 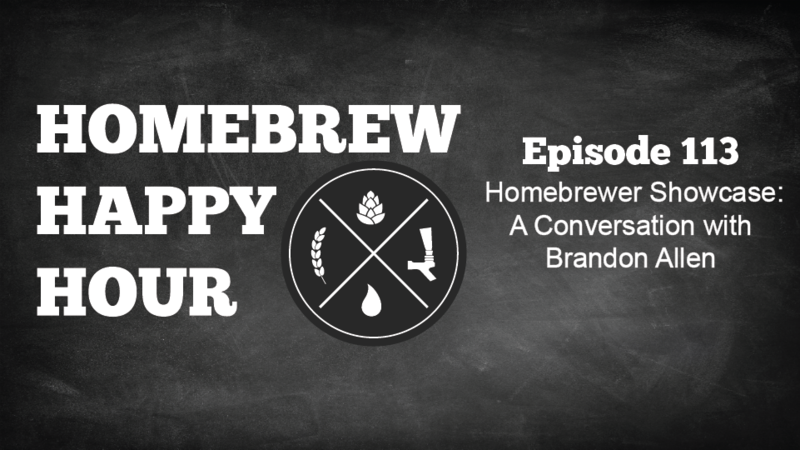 Brandon is a young Indiana homebrewer who, like Joshua, brews with his father and is an active member of his local homebrew club. We’ve had the pleasure of meeting Brandon in person at this year’s Homebrew Convention in Portland and we’ve also been lucky (HUGE emphasis on LUCKY) to have tasted plenty of Brandon’s homebrew and, trust us – it is solid! He favors Belgian styles, brews on The Grainfather, and has been a longtime listener of the show… suffice to say, he’s awesome!